You can find beauty through scale on the Underground: noisy, powerful treats, things that soar and sparkle and make great play of doing an awfully marvellous job over an awfully marvellous area. But you can also find beauty through delicacy, where it’s not so much the size that dazzles but the details. Where less is more. 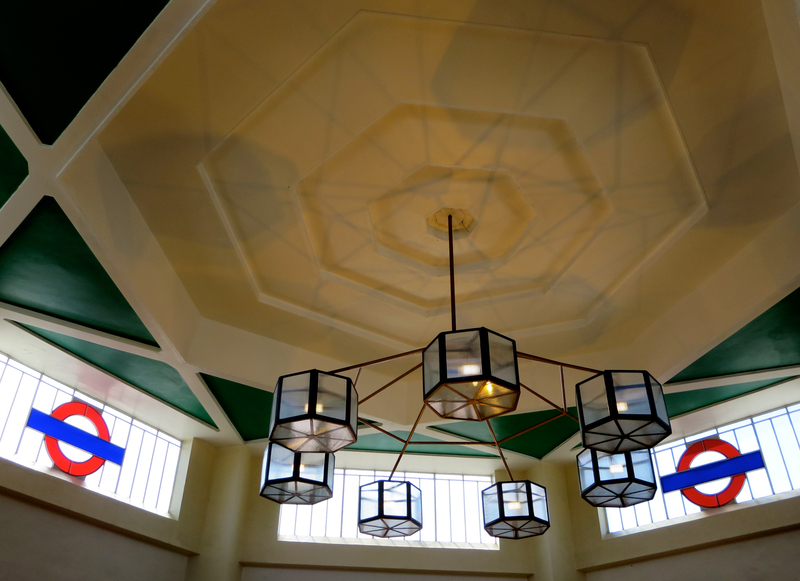 The interior of the ticket hall at Hounslow West is a bountiful treasure trove of detail. Its contents reward both the passing glance and the lingering stare. From the concept of the design to the hue of the fittings, it’s adorable – to the 128.5714286th degree. A visit ought to be on the curriculum of every GCSE Maths and Design student, regardless of what any education secretary thinks of these kinds of buildings. 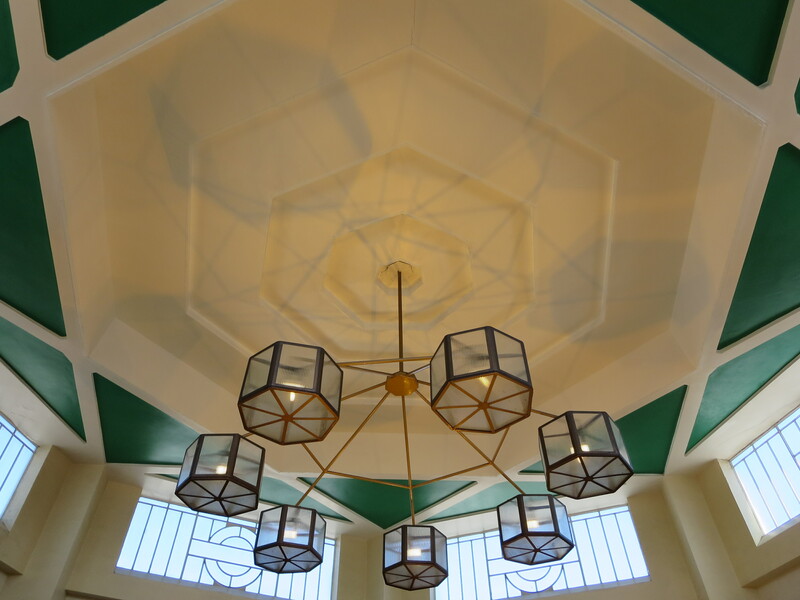 Light, geometry, colour, architecture, iconography, upholstery and style: the seven pillars of this heptagonal hall of wonder. Two more Hs were involved in its creation: Holden (Charles) and Heaps (Stanley) worked together in a rare collaboration on the station, which opened in July 1931 – the same month as Sudbury Town. What a feast for the eyes of Piccadilly line passengers. 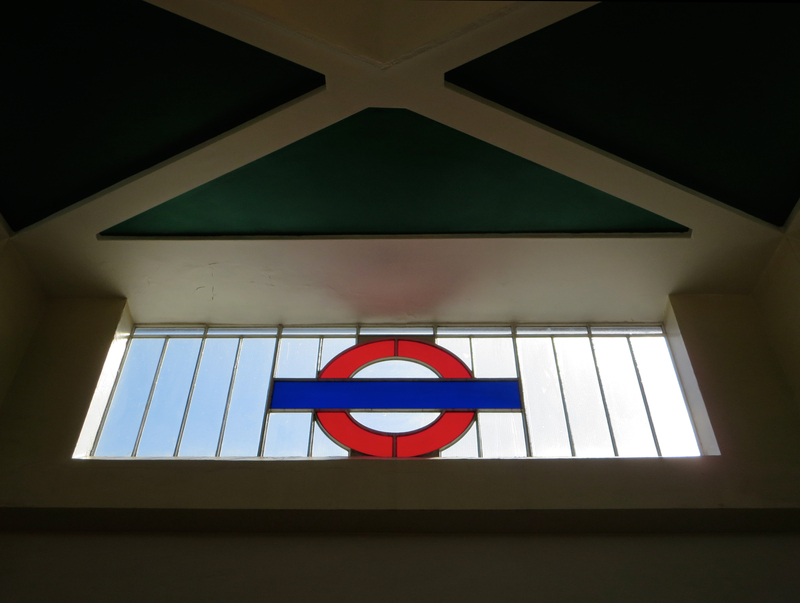 Could the exterior of Hounslow West possibly match the bewitching poise of its interior? You know the answer to that question. And it merits a separate blog entry to boot. It’s just about taking the time to slow down and appreciate the little things… Lovely post!